Striving to satisfy a sweet tooth whilst navigating new parenthood. Christmas has come early on What Kate Baked! I'm excited to announce I've a lovely giveaway in conjunction with Cornishware - one lucky reader can win £50 of Cornishware! This iconic, quintessentially British design has been produced in Derbyshire by T & G Green since 1926. The name "Cornishware" was selected when the famous stripes of the kitchenware reminded an employee of the blue skies and white created waves of Cornwall. This season, for the very first time, it's possible to personalise your name on the pottery. 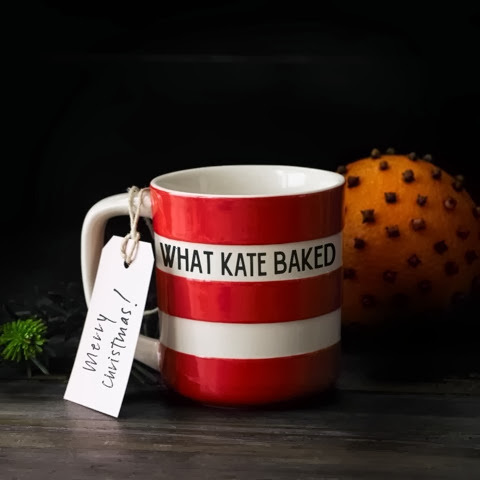 Pop over to Facebook where Cornishware are encouraging their fans to submit their (at times, very embarrassing!) nicknames to be in with a chance to win one of the famous mugs. 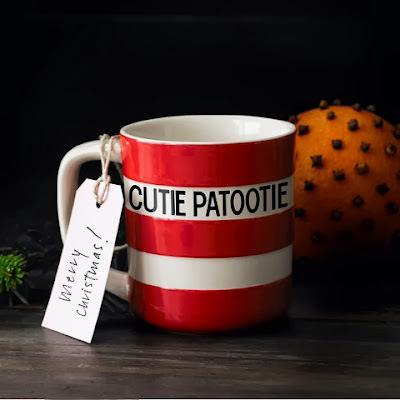 "What nickname or phrase would you have inscribed on personalised Cornishware pottery?" Would have to be Eat Your Veg! It'd be quite simply "Daisy"
my grandparents nickname for me. Being an immodest, self promoting, egotist it would have to be "The Caked Crusader"! "Let me drink this first!" would have to be inscribed on my mug as whenever i get a cup to my lips someone, somewhere needs something! Thank you very much for your comment- I appreciate every single one of them! Tea Time Treats December: The Round Up! © 2011-2013 What Kate Baked. All Rights Reserved. Powered by Blogger.